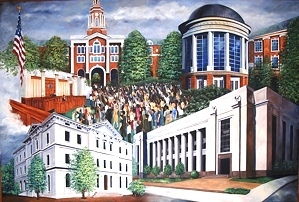 Historic mural of the Federal Courthouses in Knoxville, TN. 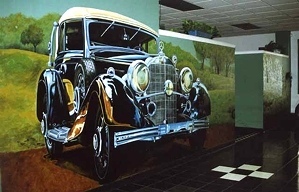 Located in the Howard H. Baker Federal Building. 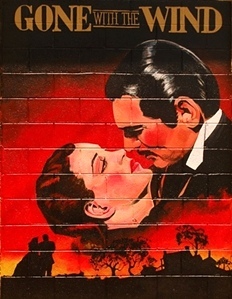 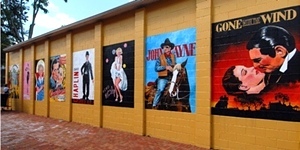 The Golden Age of the Big Screen is a series of 8 different murals of movies and actors. 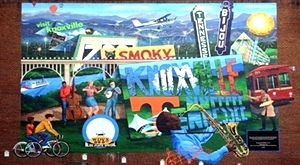 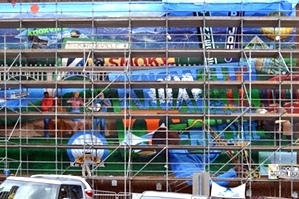 "Postcard of Knoxville" Completed at the end of July 2013 and unveiled in August 2. 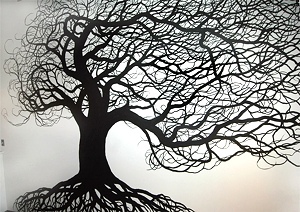 This mural is a silhouette of a tree in an individual's downtown loft. 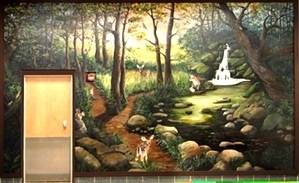 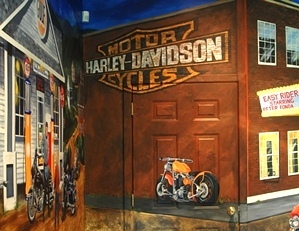 Mural painted in memory of Channon Christian for the University of TN Vet School. 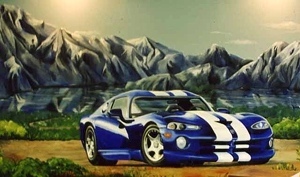 Mural of Dodge Viper, set in mountain scene, and painted in oil on the wall of a car collector's showroom. 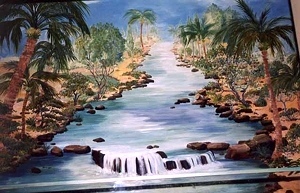 An imagined image of the River Jordan flowing from the wall and into the baptistry of a small church. 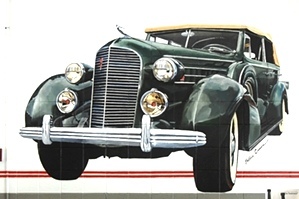 Mural of 1933 Mercedes Benz, on wall of Matlock Tire show room in Farragut, TN., handpainted in oil.